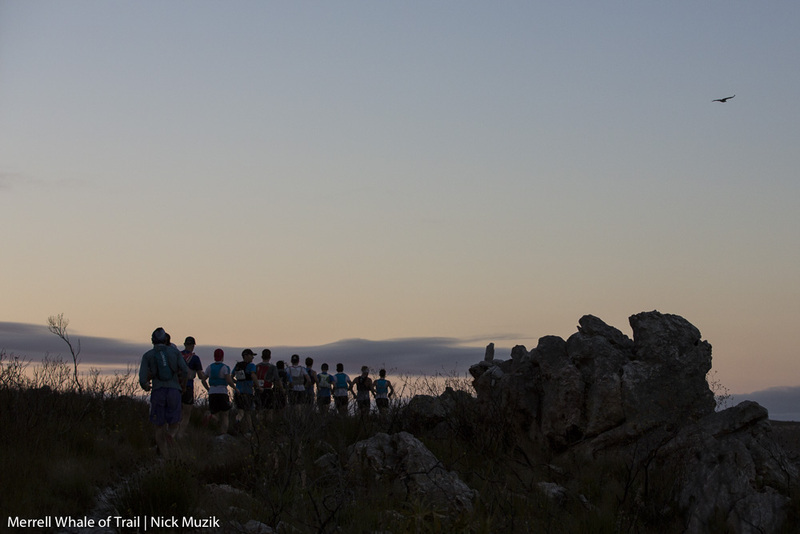 Clear skies and roaring braziers welcomed a total of 123 trail runners at Potberg Environmental Education Centre, the start of the 4th Merrell Whale of Trail. Between them and the finish, 53km of varied single track awaited including a combination of technical trail, smooth, fast flowing downhills, undulating coastal paths and soft sandy beaches. To accompany them on route: an enormous venue of Cape Vultures and an abundance of Southern Right Whales. 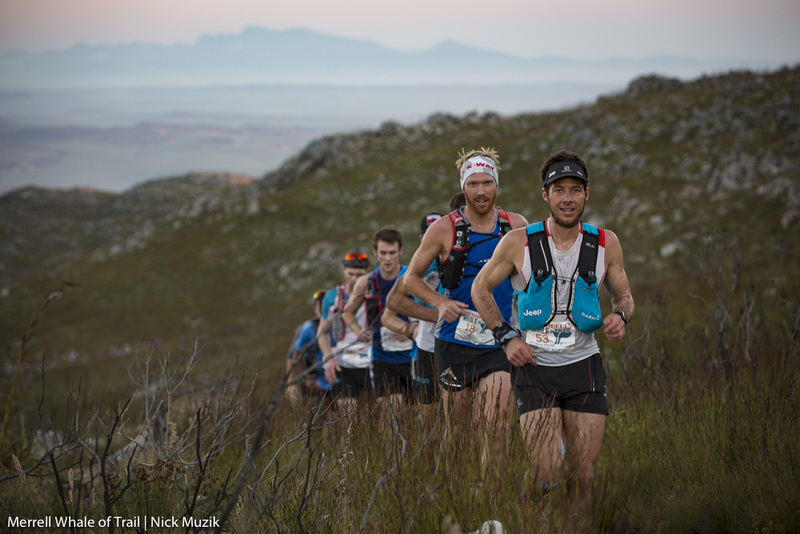 The stacked elite field certainly didn’t disappoint, the top 10 men tactfully choosing to stick together for the first 7km of climbing before anyone made a move. It was Rory Scheffer who eventually broke away at CP2 and started to slowly increase the gap between himself and the rest of the field. “I kept looking over my shoulder expecting the guys to catch me, which normally happens in the second half of a race,” said Scheffer, “but there was never anyone there.” He extended his lead to 17 minutes by the finish and crossed the line first at Koppie Alleen, obliterating the men’s record by 49 minutes and winning the 2017 Whale of Trail in the new record time of 4:49:46. Despite putting on a brave fight, two times winner Melikhaya Msizi dropped off the podium pace to finish fourth, behind 2nd placed Christiaan Greyling and 3rd AJ Calitz. It wasn’t all about the elites today however, and every single trail runner that set out to tackle the run made the 2017 Whale of Trail what it was. They filled it with spirit, enthusiasm, highs, lows, hardships and smiles. “It was great to see the competition up front and the real love of trail the elites exude, and even more incredible to see how it resonated through the whole field. It was just incredible to see people pushing through their limits, from the top runners to the last person over the line; a truly inspiring day out,” said Graham ‘Tweet’ Bird, Whale of Trail Race Organiser. Preliminary results are available here and race photographs by the exceptional Nick Muzik and Peter Kirk will be available on Facebook later today and over the course of the week.